Heraldry has been a part of many family's history. Countries have through the years exibited heraldry and the Church has also been a user of heraldry. 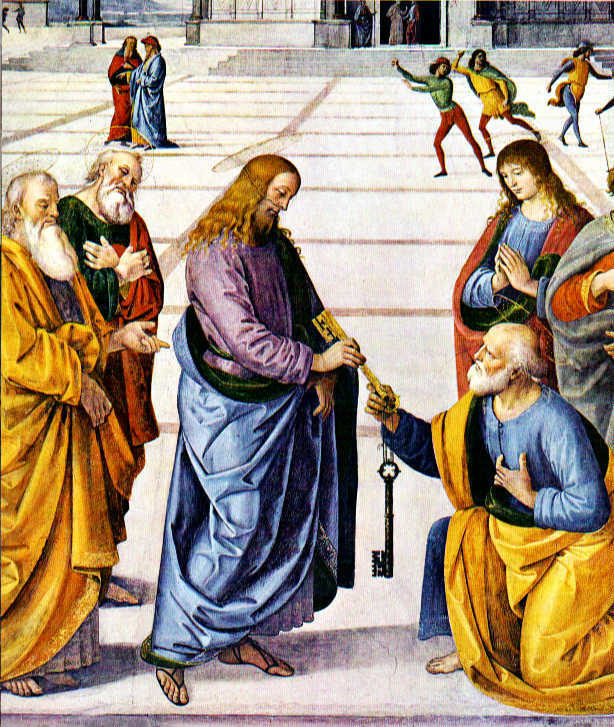 The Roman Catholic Church has followed this tradition to the greatest extent. In like manner, Dayspring Ministries International, The Evangelical Christian Church, has chosen to follow in this tradition. The ECC Dayspring has in many areas followed several Church traditions in its unique response to its calling of ministry to people… Various traditions are in the ECC, from the Restoration Theology of the early 1800s to the Charismatic & Pentecostal worship of some of its churches in the 21st century. The ECC Dayspring has titles from the Anglican and The Old Catholic Churches. ECC Dayspring Also follows some traditions from The Roman Catholic and the Mainline Protestant churches, showing once again the diversity of the Faith taught by our Savior. Truly the ECC Dayspring is a Church for each person no matter what his or her roots have been in the past. 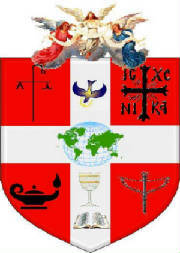 Following are Coat of Arms explanations and some examples of Coat of Arms for Archbishop Barkman and some of the Bishops of the Evangelical Christian Church. The arms of a patriarch consist of the green galero with two green fiocchi on the brim and 15 green fiocchi suspended on either side of the shield. The archiepiscopal cross stands behind the shield. The arms of an archbishop consist of the green galero with two green fiocchi on the brim and 10 green fiocchi suspended on either side of the shield. The archiepiscopal cross stands behind the shield. 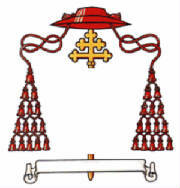 The arms of a cardinal in the Roman Catholic Church consist of the scarlet galero with two scarlet fiocchi on the brim, and 15 scarlet fiocchi suspended on either side of the shield. The cross (either archiepiscopal or episcopal) stands behind the shield. 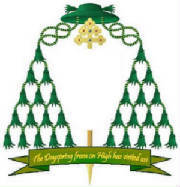 The external ornaments for a bishop are the processional cross, which extends above and below the shield, and a pontifical hat, called a “gallero,” with its six tassels, in three rows, on either side of the shield, all in green. 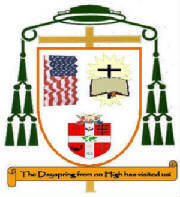 Dr. Barkman, Archbishop of the Jurisdiction of Churches called Dayspring has chosen to use both the Red and also the Green Coat of Arms. The red is chosen to designate his position as “Senior Presiding Pastor” of the Evangelical Christian Church and/or “Senior Presiding Bishop” of Dayspring Ministries International. 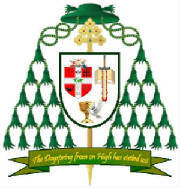 Dr. Barkman has chosen the Green Coat of Arms to designate his consecration as Archbishop with Apostolic Succession. Dr. Barkman has chosen the Coats of Arms with 15 green (or red) fiocchi suspended on either side of the shield to designate his being Founder of DMI. Though he does not claim to be a Patriarch, history will show him as the founder of one of Christ’s greatest movements with humanity. Dr. Barkman’s shield has of course the Coat of Arms of DMI. He has also added a Bible with a “Burning two edged sword.” This designates the sharpness of the Word of God which tells all that is necessary for the salvation of every person and all of humankind. There is also a Chalice symbolizing the eucharist and a dove showing the “power “ and “comforting presence” of the Holy Spirit of God. 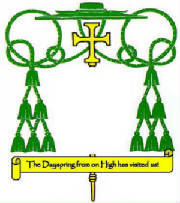 Listed below are some Coat of Arms of some of Dayspring Bishops. 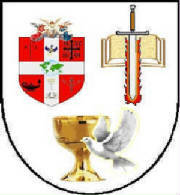 The Coat of Arms on the left if that of Bishop Leo Dale Ben Hurr. 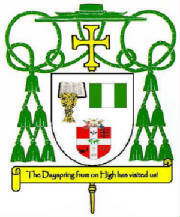 The Coat of Arms on the right is that of Bishop David Francis Ina, Bishop of the Province of Nigeria. 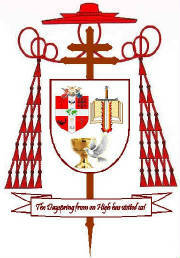 Presently seven (7) of the seventeen (17) Dayspring Bishops have Coat of Arms.